Back in December I was lying in bed trying to sleep, when I suddenly thought 'I wonder if they've done an adaptation of The Red Shoes'. I picked up my phone and did a quick Google search. Not only have they done an adaptation, it was current and coming to Cardiff in March! At the time, there were almost no seats left. The only seats I managed to get that were 2 together were on the Saturday matinee. I swiftly bought them and excitedly waited for the 18th March to arrive. I have a long history with The Red Shoes. When I was 2.5, my mum enrolled me in my first ballet class. I immediately loved it, I loved the dancing, the clothes, everything about it. 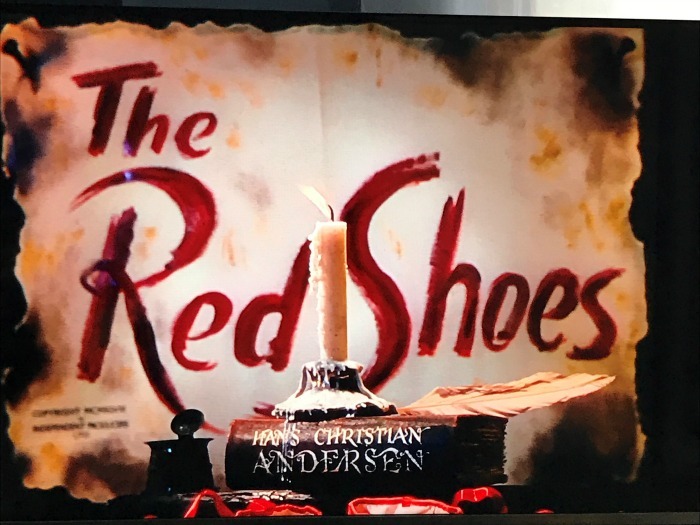 Then about a year later, mum put the film 'The Red Shoes' on for me and that too I instantly loved. I wanted to be Victoria Page and dance in beautiful red ballet shoes. 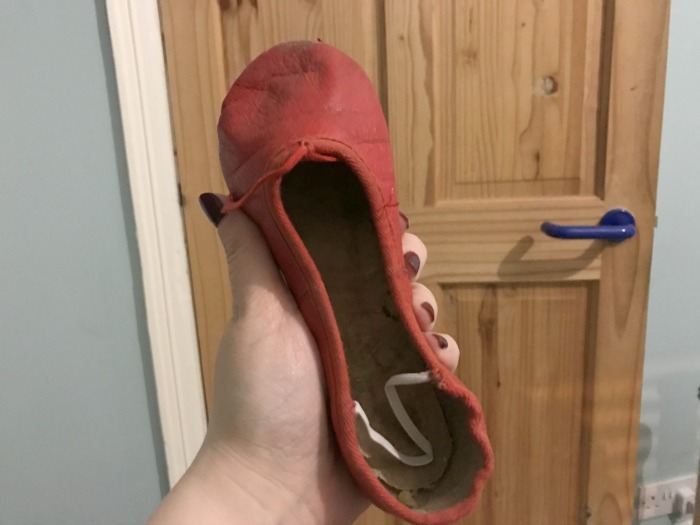 A couple/few years later, my auntie actually bought me a pair of red ballet shoes and I wore them with gleaming pride when I went to my lessons, and I still have them to this day - they live in my bedside cabinet. When I was about 11-12 I gave up ballet - my asthma wasn't well controlled, my teacher died, and I gave in to peer pressure... I went to a rough school and doing ballet wasn't exactly doing me any favours. I'll always regret giving it up as I loved it so much. Fast forward decades and I still regularly watch the film and love it, so you can imagine my expectations of the ballet! Nearly 35 years of me watching the film and adoring it. For those of you unfamiliar with the story, it's based on a book by Hans Christian Andersen - it features a ballerina called Victoria Page who when asked 'Why do you want to dance? ', replies with 'Why do you want to live?' - ballet is everything to her. She's recruited into the Lermontov ballet. They develop a new ballet called 'The Red Shoes' which she is to star in - but the red shoes have a hold on her. I won't tell you any more as I don't want to spoil it! 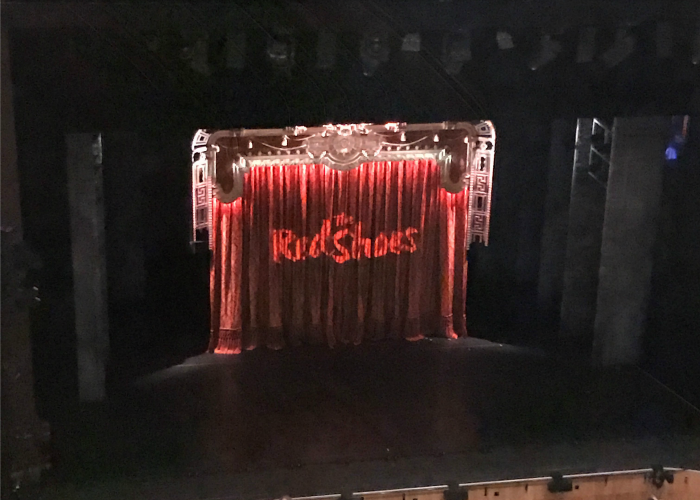 The ballet of The Red Shoes was choreographed and directed by Matthew Bourne - his talent is incredible... the set was fantastic and so cleverly used, the outfits were amazing, and of course, the choreography and dancing was fantastic. When the curtain went up, I couldn't help but feel overwhelmed and cried - same at the end, I cried my eyes out! It was fantastic, I loved every moment, every scene. What's more, he did the film justice. I was able to follow the ballet and pin it back to the film (all apart from one scene where he depicts her time away from the Lermontov ballet) which isn't included in the film. 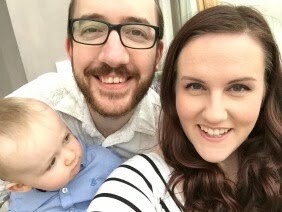 It really did live up to my expectations and exceed them! This was the first ballet my hubby has seen, and he thought it was amazing too - problem is, it's set the bar unattainably high for future ballets for us to see!